Stats-based musings on eSports, traditional sports, and gaming. This post is an attempt to lay out how eSports can be analyzed from a sports economics perspective. The topics discussed will be based on learnings from a sports economics class that I took this summer in my MBA program. This post is not an attempt to argue why eSports should (or should not) be considered a sport. To cater to readers from both sides of the sports/eSports fence, I will attempt to evenly distribute my obscure references. Don't worry if you don't understand this one. 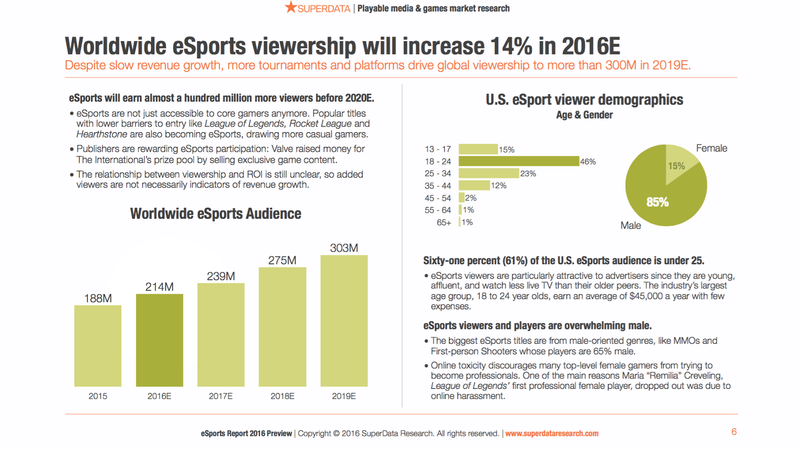 The eSports industry had experienced tremendous growth during the last several years, and is expected to continue growing in the near future. 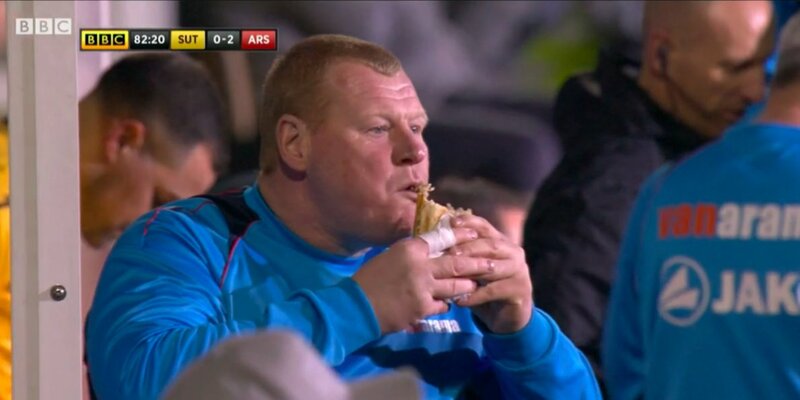 That said, it still pales in comparison to traditional sports. Case in point: the NFL's revenues were roughly $14 billion in '16 - '17 and the MLB's $9 billion, while worldwide eSports revenue totaled $700-$900 million (depending on the source). 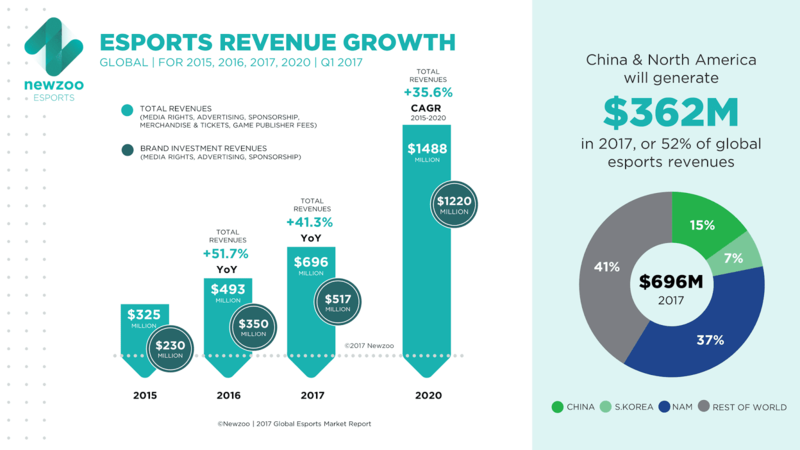 Nonetheless, eSports and traditional sports share very similar revenue streams (see the two charts below, which show two research companies' eSports revenue projections). One important difference is that interest in eSports funnels revenues in the underlying game (usually in the form of viewer/players purchasing microtransactions). These additional revenues are not measured in the charts below. League of Legends (LoL), the biggest eSports title, generated nearly $2 billion in revenue in 2016. Most of this revenue cannot be directly attributed to eSports, but if we consider LoL eSports to be an extension of the game itself, then $2 billion stands up much better against the NFL's $14b and the MLB's $9b. The 2016 League of Legends world championship finals, the equivalent of the World Cup final in eSports, had 14.7 million peak concurrent viewers and 43 million unique viewers. Traditional sports ratings are usually measured by average viewers - so the comparison to concurrent/unique viewers isn't perfect - but NBA Finals games are averaging 15m - 20m viewers in recent years. eSports traditionally attract a worldwide audience, whereas the NBA is predominantly US-based. If you want to compare numbers to the actual World Cup: in 2014, an estimated 695 million people watched 20+ minutes of the final. In the early days, eSports teams were generally owned by one or more members of the team. Some of these teams have been able to survive the wild west days and thrive (see EnVyUs and OpTic, who are both roughly 10 years old). 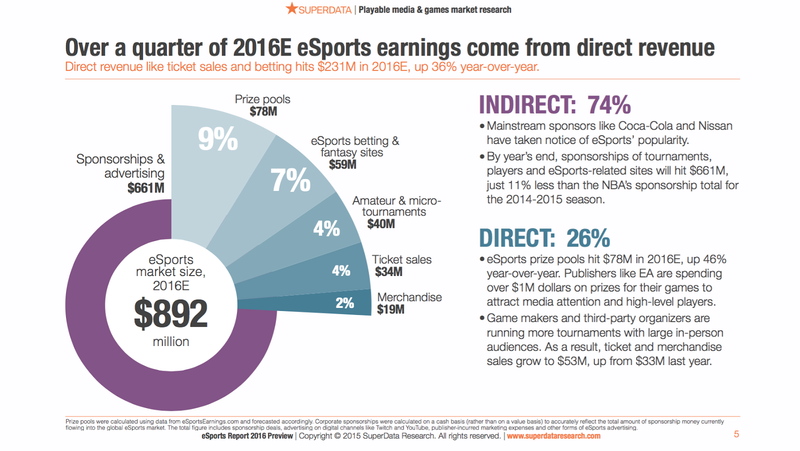 In the last two years, investment in eSports teams has skyrocketed. Much of that investment has come directly from traditional sports entities; teams, owners, and/or players from basketball, football, baseball, soccer, and hockey have all made eSports-related investments. 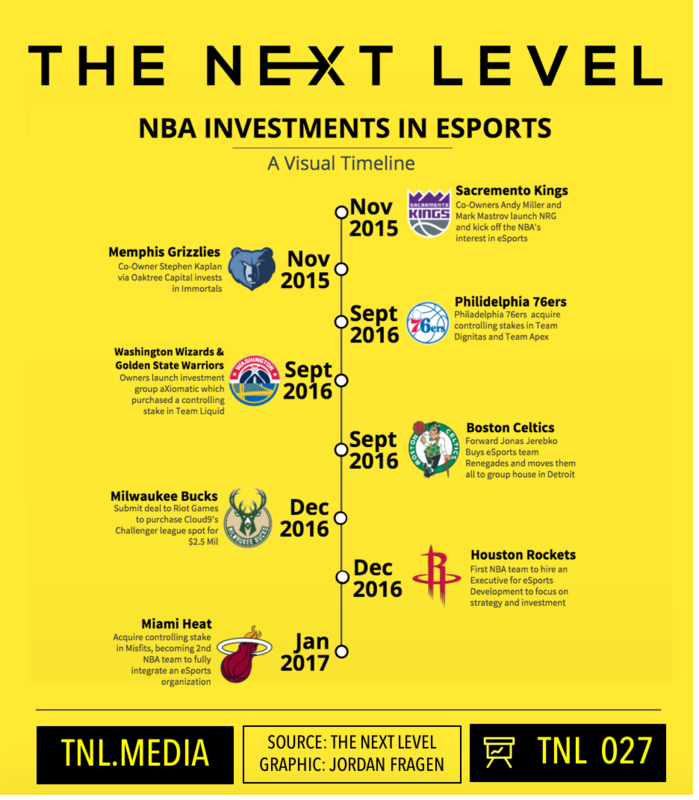 Below is a look at NBA investments in eSports (as of February 2017). As for sponsorships, I am once again linking to TNL, which has a nifty ''brand tracker'' section. Check out the website for an overview of big sponsorship deals. The key here is that non-endemic sponsors are on the rise. It's not too much of a stretch for a keyboard & mouse manufacturer to sponsor a team or tournament, but it's much more exciting to see involvement from brands like Vodafone and Pepsi. eSports is slowly but surely attracting more well-respected sponsors. Speaking of sponsors... this deal probably triggered some NASCAR purists. “It’s just going so fast,” Miller said. “A few years ago, the teams were all run by the players on the team. Now, we’re talking about billionaires who own NFL teams. It’s expansion. It’s incredible. 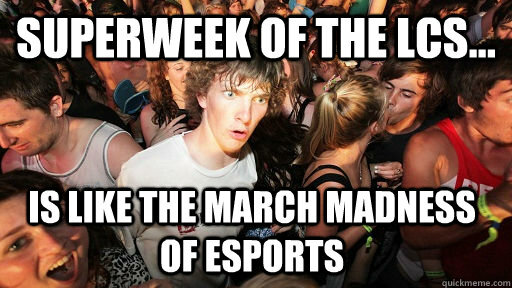 A popular Call of Duty eSports meme from the wild west days. Nearly every (or at this point perhaps every) NFL, NBA, and MLB team is sponsored by DraftKings or FanDuel. There's big money in betting and fantasy sports, which - being categorized as a game of skill - avoids the legal restrictions imposed on sports betting. eSports fantasy and betting sites already exist, and they've already become the subject of controversy. Click here for a story about failure to disclose affiliations to game betting sites, or here for a story about eSports players caught match fixing. Soccer betting gone awry. There's a moral to this story somewhere in that pie. Some eSports competitions are comparable to tennis and golf, and share common terminology such as "open" events and "invitationals." Prize money distributions - for the most part - follow optimal economic theories for maximizing participant effort. In 2016, the prize pool of eSports title Dota 2's "International" (the equivalent of a world championship) totaled over $20 million, with the top team receiving over $9m. That compares pretty favorably with the prize pools in the major tennis tournaments, and even better than major golf tournaments (warning - this link has a video that auto-plays when the page loads). However, most "major" eSports tournament prize pools are much smaller, at roughly $250k - $1m; Dota 2 is a special case because the tournament prize pool is increased whenever players spend money on certain in-game items. 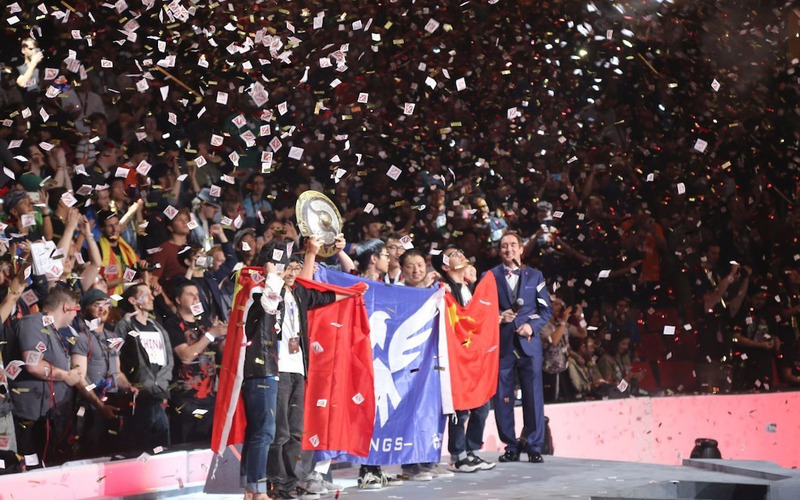 Wings, the winners of the aforementioned Dota 2 International. Most eSports titles also have the equivalent of a world championship/world cup. The more established eSports titles now have leagues that are typically split between a regular season (usually played online, though some leagues hold all of their matches in a venue) and playoffs (usually played at a venue over the course of a few days). Many eSports leagues also have promotion and relegation features. 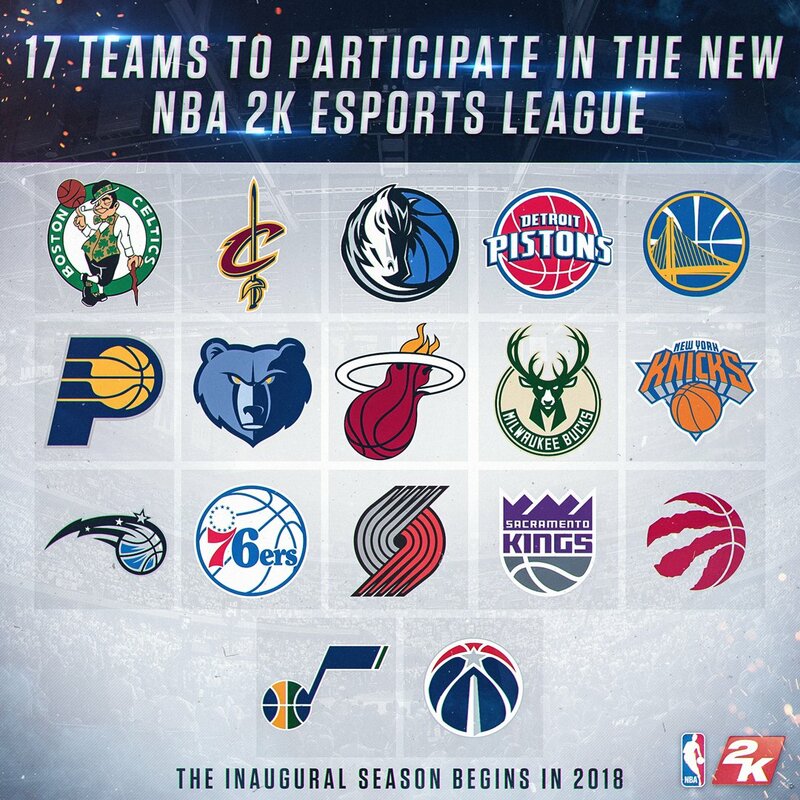 The NBA is partnering with the publisher of the NBA 2K video game. 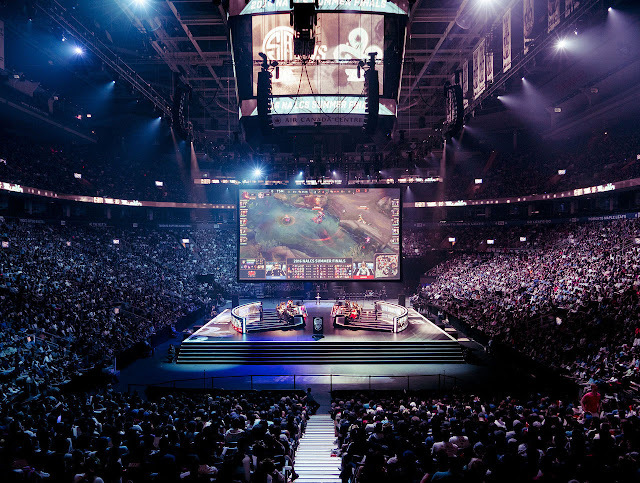 "The reason the world of esports is a hot mess is because it's still in its infancy. But the mistakes being made are not new mistakes. They're the same mistakes the NFL made in the 1920s, when teams were regional entertainment, owned by a local businessman, constantly popping up and folding across the country. They're the same mistakes the MLB made in the 50s and 60s, with the construction of subpar stadiums for expansion teams who were later forced to move. They're the same mistakes every sports league has made and eventually solved. With some knowledge of history, esports can drastically shorten the period in which these mistakes are made, but in order to do so, changes have to be made to the current system." Overwatch is a team-based multiplayer game developed by Activision / Blizzard (ATVI on NASDAQ). From an economics perspective, the Overwatch League is the most interesting one to follow - assuming they can pull it off. Most large eSports teams have a physical "team house" where competitors live and play, but the teams themselves don't have a city identity. The main differentiator of the Overwatch League, and I quote from the intro video below, is that "each team will represent a city." "At the start, it will be held in major stadiums in some regions, and with enough teams and infrastructure, you will be able to enjoy OW league being played in home stadiums. Also, the final match of the OW League will not be BlizzCon[;] it will be held in a new city every year." 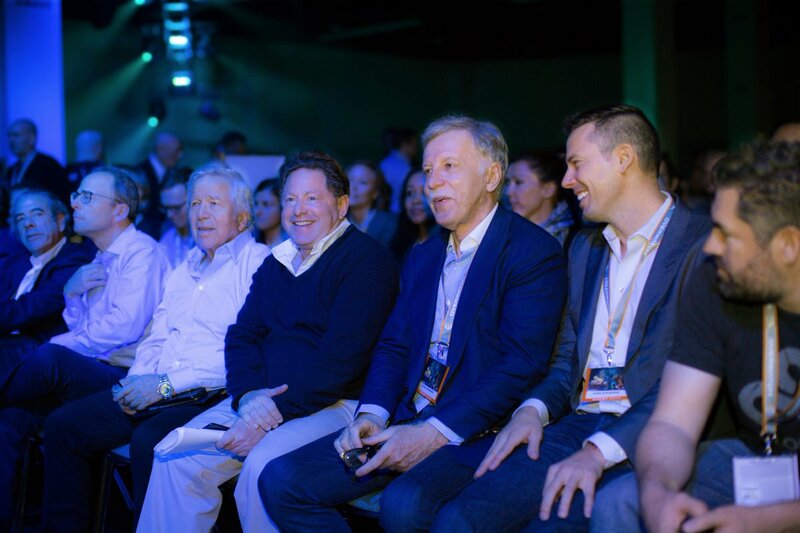 At the Overwatch League announcement in Nov 2016: Patriots owner Robert Kraft and LA Rams owner/Arsenal majority shareholder Stan Kroenke sitting with Activision/Blizzard's CEO and the CEO of the Cloud9 eSports team. Random to semi-informed speculation puts the league franchise fee anywhere from a few million to $20+ million, depending on the source. Activision, the game's publisher, has yet to reveal any concrete numbers. Rumor has it that a lot of agreements are already in place with eSports teams backed by big investors. Activision may be waiting to finalize most (or all) of their league spots before making a formal announcement. NRG is one of the teams expected to bid for an Overwatch League spot. The positive economic impact of stadiums (or the lack thereof) is a big area of research in sports economics. Although most eSports tournaments are held in rented areas (stadiums or convention centers), dedicated eSports arenas do exist around the world. Examples include the MLG arena in Ohio, the University of California - Irvine eSports Arena in California, and OGN in Seoul, South Korea. Some of these arenas (such as MLG's) were not built from scratch, but rather repurposed from existing structures. Within the next couple of years, the Overwatch League (assuming it's successful) is the most likely to get a city to commit public funds for the construction of an eSports stadium. Major eSports tournaments routinely sell out sports arenas. Competitive balance theory, one of the most-studied topics in sports economics, can be applied to eSports because the structure of competitions and prizes is extremely similar. I don't have too much to say here, other than to mention that college eSports does exist. College eSports (partial) scholarships have been around for a few years. More prevalent are college "club" teams that compete in tournaments with real cash prizes. If college eSports gets large enough, it might run into similar problems that the NCAA is currently facing with its student-athletes. The eSports equivalent of the NCAA, the NACE (National Association of Collegiate eSports), already exists. League of Legends has a robust college system. I'm only half-joking about the economic impact of PEDs; adderall usage in eSports is rampant. Stats junkies are just as prevalent in eSports as they are in traditional sports. Since Overwatch has been a running theme in this post, I'd like to point out that Winston's Lab and Overbuff's Meta Reports are two sources that produce high-quality Overwatch content. Additionally, major eSports teams now employ a bevy of support staff (coaches, analysts, nutritionists, lawyers, etc). Will the real Billy Beane please stand up? The eSports industry is growing in size and sophistication. As it grows, so too will the applications in using sports economics to explain and predict aspects of the industry.